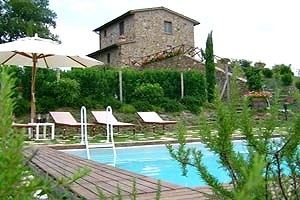 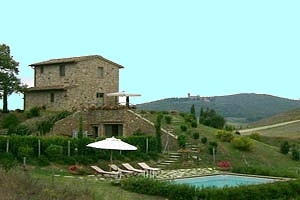 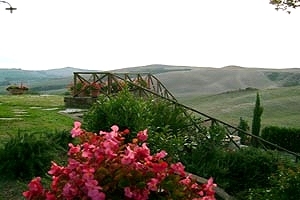 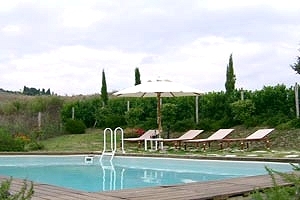 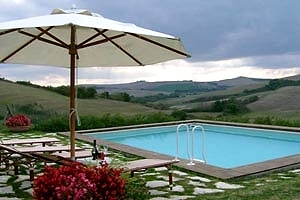 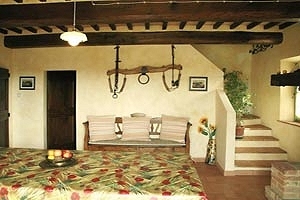 The farmhouse (4 beds) is immersed in the wonderful Tuscan countryside, surrounded by green fields and almost plantless, white clay hills of the Crete senesi. 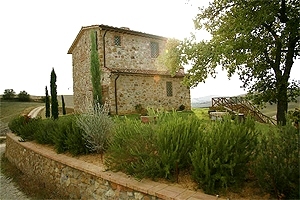 Situated at the top of a hill, the building commands the Val d`Orcia and the village of Sant`Anna in Camprena, whose bell-tower is to be seen in the distance. 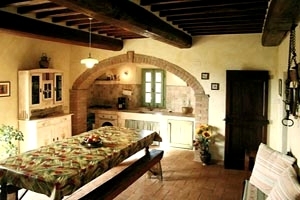 During the recent restoration the original rustic structure, made of terracotta-tiled floors and beamed ceilings, has been maintained. 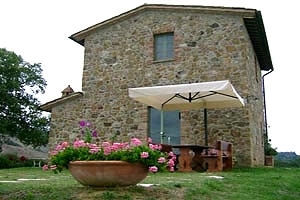 The garden is furnished with outdoor furniture for dining in the open air. 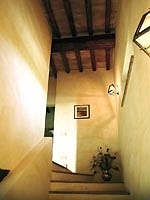 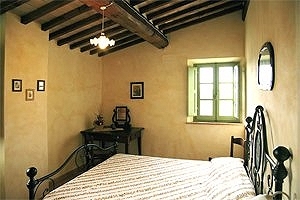 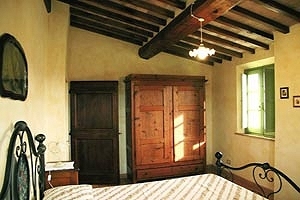 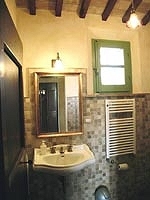 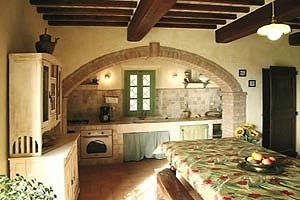 The farmhouse is provided with washing machine, American-style coffee machine and oven. 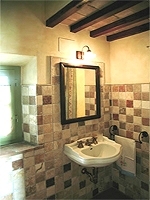 At guests` disposal: private swimming pool, parking lot, Internet connection, baby cot and highchair (upon request). 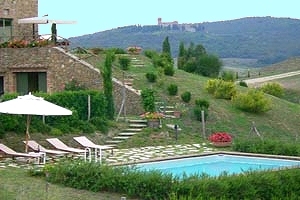 Animals are welcome, upon request. 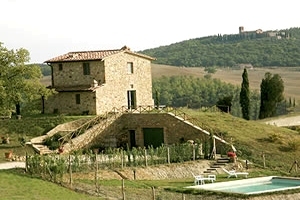 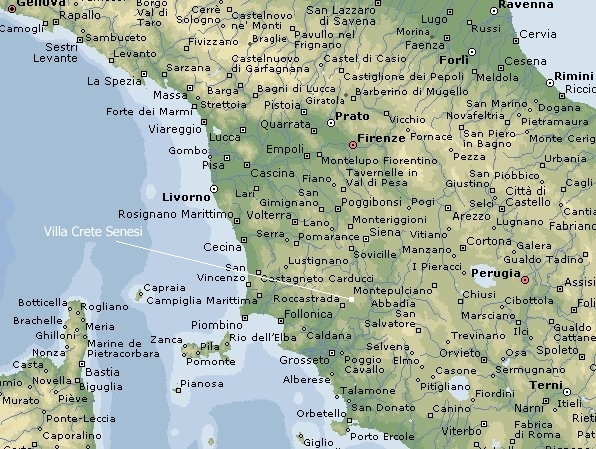 Many of the most important Tuscan tourist destinations (Siena, Pienza, Arezzo, Montalcino, Florence and Montepulciano) are within easy car reach. 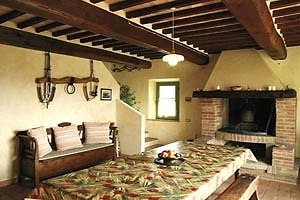 The ground floor of the two-storey farmhouse (2 bedrooms and 2 bathrooms) is composed of an integrated fitted kitchen/dining room and a small half-bathroom. 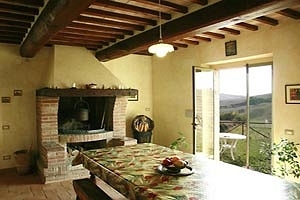 The dining room features a fireplace and is furnished with a large dining table with benches. 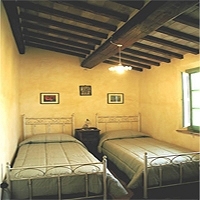 The first floor is composed of 1 double bedroom, 1 twin-bedded room and a bathroom.